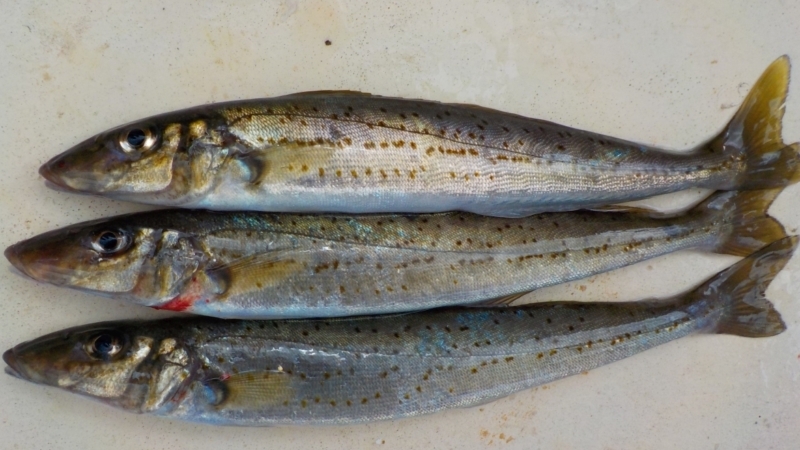 The King George Whiting (KGW) are endemic to Australia. They inhabit the South East coast of Australian from Jurien Bay, WA to Botany Bay, NSW. The KGW are one of southern Australia’s most important commercial fish, reputably worth over $5 million annually to the industry. 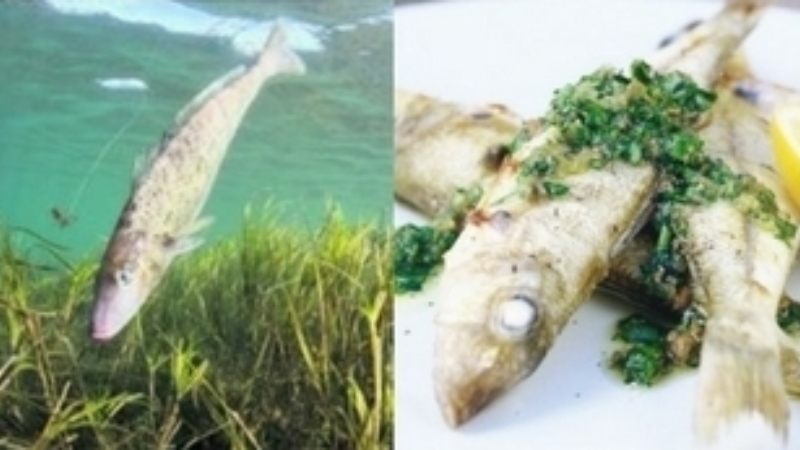 It is also a favourite fish to be targeted by recreational fishermen for its sporting and eating qualities. 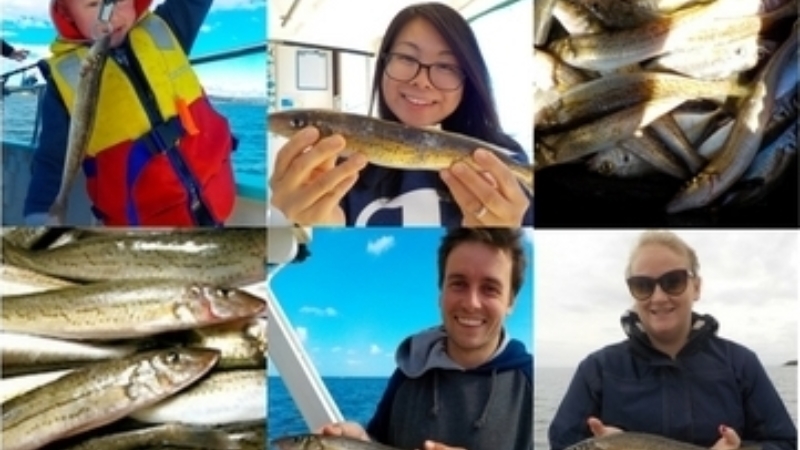 The crew at Bay Fish N Trips believe this fish to be the No.1 tastiest species in Port Phillip Bay. Officially named in 1829 by Georges Cuvier (a French naturalist who was best known for establishing “extinction” as a fact rather than just speculation in a scientific paper written by Cuvier in 1796), based on a sample of the species taken from the King George Sound, WA at that time. Description: The species are elongated in shape and have a very distinctive colouring – pale golden brown to olive brown top colour and white to silver on the underside. Its spots are in obliquely positioned rows running the length of its body and don’t follow any particular line. Their mouth is quite small and the fish is slimy to touch. The KGW have been known to grow to a length of 72 cm. The heaviest recorded catch to date is 2.3 kg. On average in Port Phillip, the whiting grow to about 50 cm (700 – 800 grams). Habitat: The KGW are mostly found in bays, such as Port Phillip and waterways but have been known to venture out into deep continental shelf reefs during adulthood. Juveniles tend to form in schools using sea grass beds for protection, shelter and as a source of food where as adults can be solitary. Reproduction: KGW reach sexual maturity at 3-4 years of age (males 30 cm and females 34 cm in length). Spawning occurs in a range of areas along the southern coast line March to June. The larvae spends 3-5 months drifting in the ocean before entering bays such as Port Phillip. In Victoria, larval stages constantly enter the bay during spring when they are 20 mm in length (100-170 days old). They have travelled from far west Vic and SA using the currents and winds to move the long distance. It appears that KGW stocks are heavily dependent on the SA management of adult stock. According to Fisheries Victoria, juvenile KGW (up to three years old) inhabit the sheltered waters of Port Phillip while adults (three years old plus) inhabit coastal waters. On average a two year old KGW is about 25 cm in length where as an 11 year old is 57 cm (1.85 kg). Diet: KGW feed on a variety o crustaceans, marine worms, mollusc (pipis and mussels) and fish. Predators: Larger inshore fish such as Australian salmon, Flathead, Barracouta, Snook, Sharks and Rays enjoy feeding on KGW as well as wading birds like Cormorants. The Bottlenose and Common Dolphins are known to also enjoy these tasty delights. Fishing for KGW: The main bait to be used by recreational fishermen is fresh Pipis, small pieces of Squid, Bass Yabbies, Mussels or Prawns. Long shank hooks with red or green attractor beads on a Paternoster rig has greatest success. They can be quick to take the bait so anglers need to be on their toes to catch a KGW as they can be frightened off easily. Stock levels in Port Phillip are healthy and sustainable at the moment. It appears that the quantity of KGW stock in the bay is cyclic. Some years are bountiful followed by a couple of years les so before the cycle repeats. 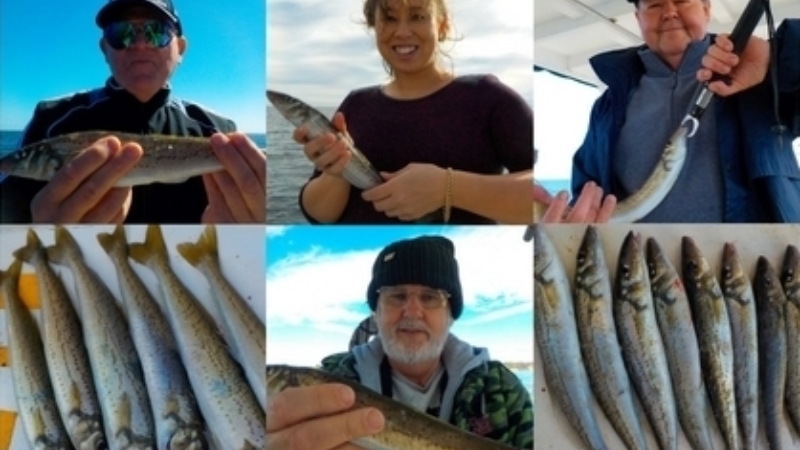 Currently guests on board the Plover are enjoying good catches of the King George Whiting with plenty going home after a trip for the BBQ. Recipe: Keep it simple as the KGW has a beautiful delicate flavour that’s not to be missed. Gut and scale the fish keeping it whole. Sprinkle the fish with fresh herbs (such as parsley or coriander). Douse it with a really good pour of the olive oil (or dot with butter) and squeeze the lemon juice all over. Season freely with the salt and black pepper. Wrap the KGW in foil. Heat the oven to 250°C, and bake the fish for 15 minutes. Serve with a fresh crisp salad. Enjoy!! Source: Fisheries Victoria, Fisheries Research and Development Corporation, Wikipedia and Bay Fish N Trips.